FLIGHT "PAYS DU MONT BLANC"
Get ready for an extraordinary trip over the mountains in a hot air balloon. This hot air balloon flight will show you the highest alpine summits : enjoy the hot air balloon rides and wanders offered by Alpes Montgolfière. 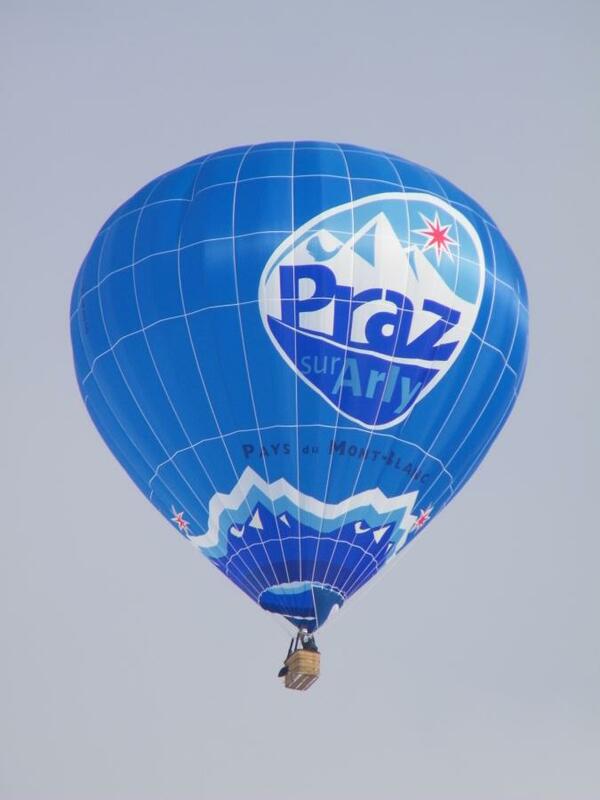 An amazing ballooning trip in heart of "Pays du Mont-Blanc", Savoy. For a Wedding, a Brithday, retirement, Christmas, offer an original present: A hot air balloon ride is a special event; Flying in front of Mont-Blanc Range becomes an extra ordinary present. Buy now and pay online in 3 instalments. Take a flight whenever you want in any season and you'll enjoy ample time at heights of between 1500 and 2500 meters. Have an unforgettable air trip over the most beautiful natural region of France. Totally secure with our professional pilot team, you'll discover new landscapes at every alitude. Fly with Jules Verne's dream! An original idea for a present or just for fun. Tickets are valid for 2 years. When you buy a hot air balloon ticket, you receive a baording card valid for 2 years from the date of issue. A great idea for personal present which can be used anytime in the next 2 years. So that you can choose a date to fit with your favorite season and your availabilities. Once your date chosen, we register your name on the flight plans. You'll always be asked to contact us 48h ahead so that we could confirm you the possibility of flight and meeting time depending of the weather forecasts. In case of bad weather we will arrange another date. Therefore you will come to the appointment only if we get basically sure that you'll fly. Buy now and pay with 3 instalments!